And so I face the final Memebox. As regular Memefans know, the Korean beauty company has stopped issuing new boxes in the last few weeks in favour of offers in its online shop and own brand Memeproducts. This is far less interesting to me, and I suspect many Memebox fans, although I don’t mind if my memehabit is getting shut down as I now have enough moisturiser to survive a nuclear winter. The company has said that they plan to continue to release some boxes, just nowhere near as many. They’ve said they’re focusing on quality over quantity, or possibly the plan is to release just enough boxes to drown out all the online moaning and weeping. I’ve had a bunch of boxes arrive recently, of varying quality, so let’s take a look at one of the best – Very Berry. This is what I would like to see more of from Memebox in 2015. I’ve said before that the single-ingredient based Memeboxes are often the best, and this Very Berry Box is a great example. 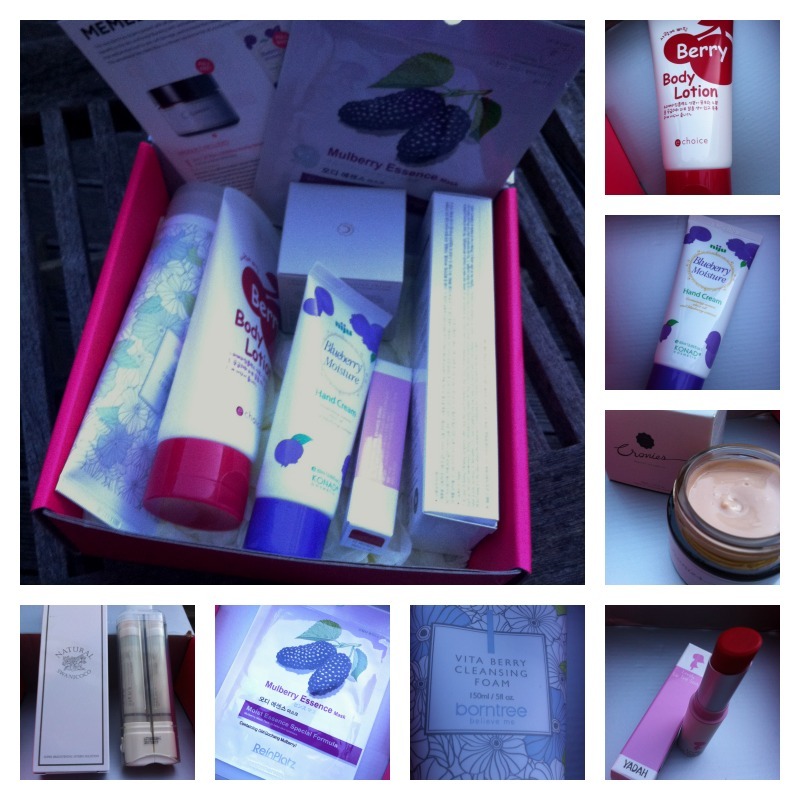 It’s a lovely mix of berry-based skincare and make-up, interesting and high quality items fresh from the fruit bowl. Aronia is apparently the “king of berries” and also goes under the much less appealing title of chokeberry. This is a lovely smooth moisturiser which sinks straight into the skin, hopefully not to choke it. We had a mango version of this product in the Tropical Fruits box. Maybe I will wear one on each hand to confuse the cat. Wearing this on my typing claws RIGHT NOW. I love skincare that looks like it could come straight out of a science class. I bet Amy from The Big Bang Theory would use stuff like this. It’s two essences packed with acai berry which you mix together by pushing down on the trigger so they can mix and go POW on your face. Or something. Now Memebox, I thought we had discussed the essential meaniness of only including one mask and calling it a full sized product. It’s only $2, why not include a few more? I was all ready to discard this as yet another cleanser when I saw that it costs the same as a pair of shoes. It’s going straight to the top of the cleanser queue, like the classy dude it is. This feels lovely and is made from a combination of blueberries and cranberries. The scent is quite light and doesn’t linger for long, alas for anyone who wants to smell cherrylicious from dusk til dawn. For once, a bright but wearable lipstick from Memebox. This is a lovely cherry red tint which can be applied lightly or more vividly depending on your preference. It feels fantastic to wear – normally tints can be quite drying but this packs a moisture punch.